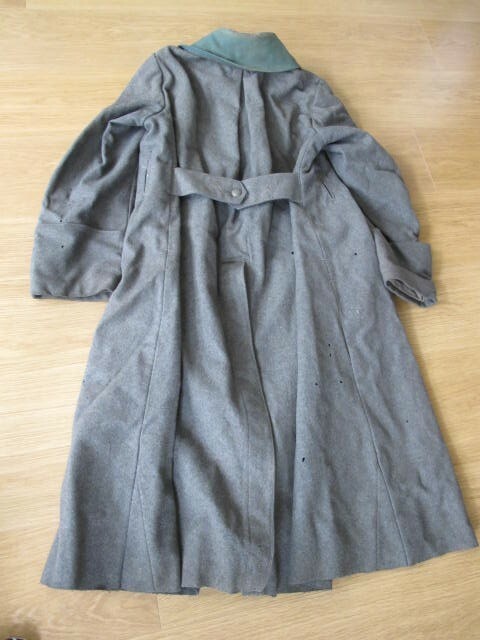 Scarce and seldom found Imperial German Prussian Other Ranks Field Grey Great Coat. 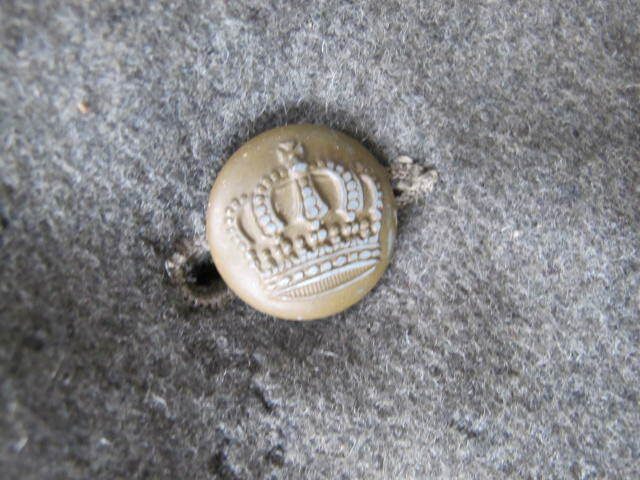 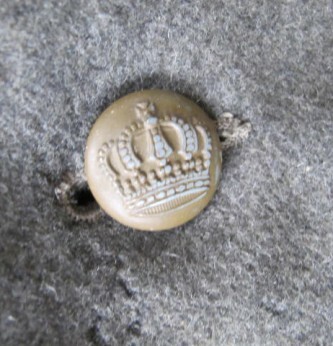 Complete with Prussian crown buttons. 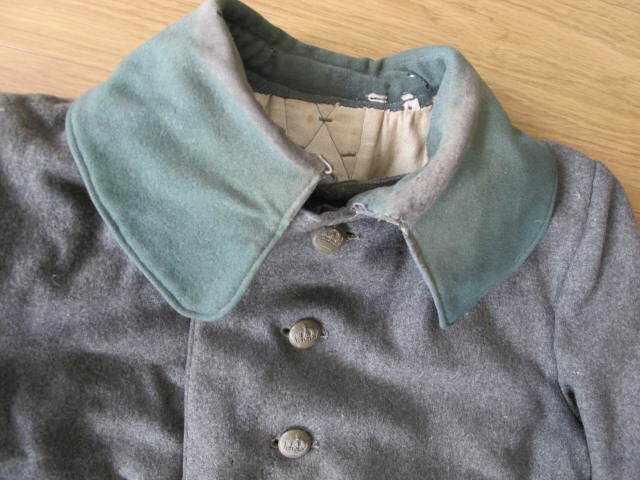 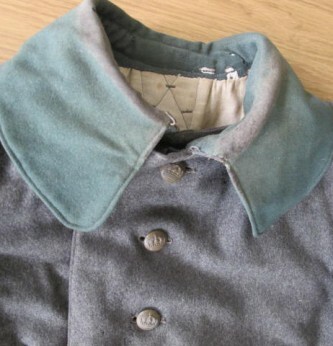 Turn back cuffs and green felt collar. 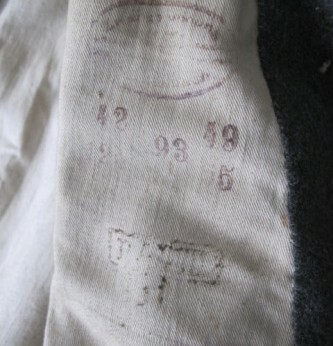 Inside with various regimental stamps and markings. 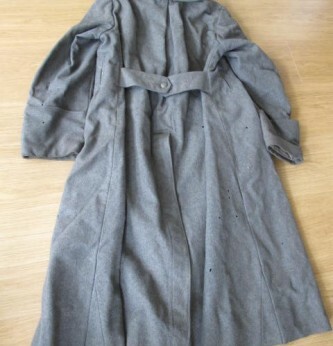 Some minor mothing overall but untouched example of this scarce other ranks great coat. 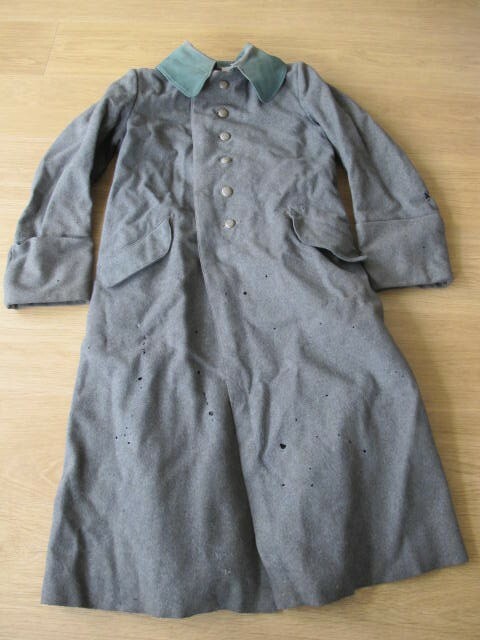 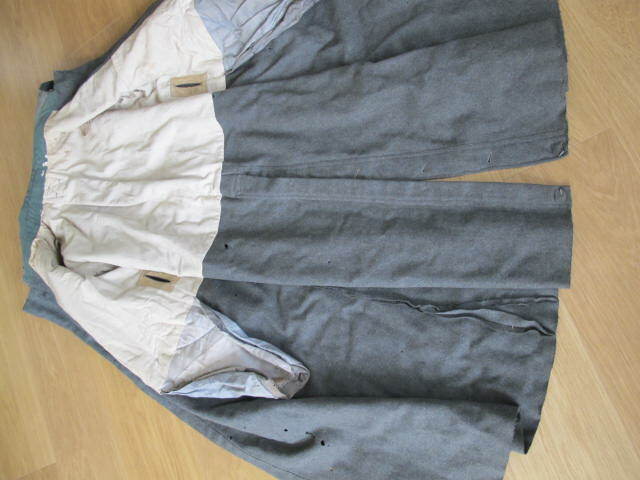 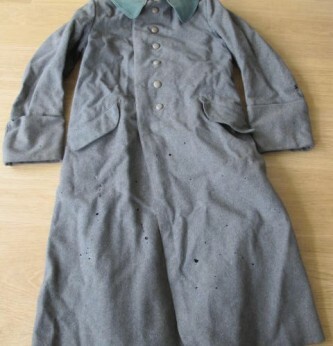 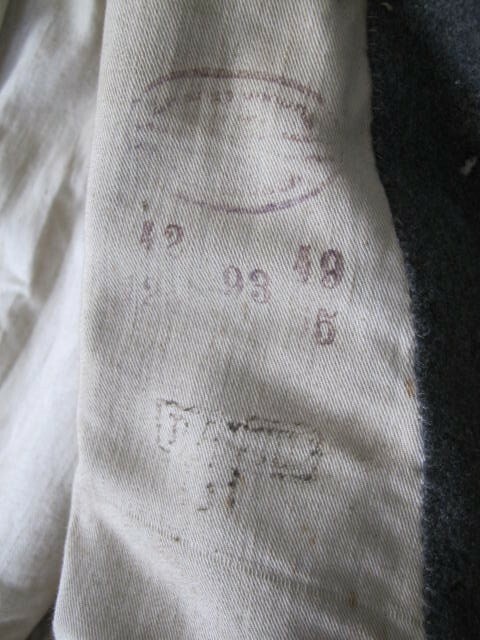 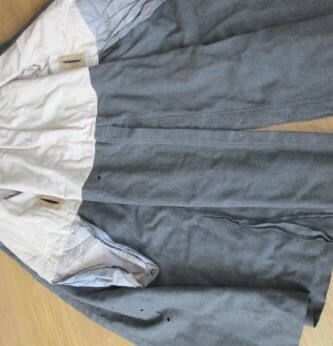 Hard to find piece of WWI German field grey uniform.